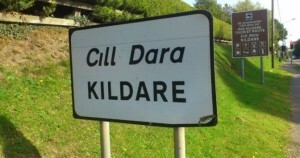 This increase in VAT will be devastating to those small hoteliers in Kildare. Places like Leixlip, Naas, and Johnstownbridge all have fantastically successful hotels who will see a significant increase in their tax bill. However, unlikely the surge in booked up hotel rooms in Dublin this has not extended to Kildare at the same level. The increase in VAT for hotels across the country is unwise. Minister Ross must ensure that additional funding is used to support marketing Ireland to international audiences to ensure that we maintain our strong visitor numbers. Smaller businesses in the tourism sector outside of the capital are paying the price for perceived buoyancy in the overall tourism sector which in reality is only being felt in Dublin and larger urban areas. The Department of Transport, Tourism and Sport must engage with regional stakeholders and introduce supports to businesses that may lose out because of this VAT increase. Irish tourism cannot be viewed as one homogenous group. There is a gap in terms of profitability between the major cities and the rest of Ireland, and a targeted approach is now required to ensure that the regional tourism economy is supported.